Visulattic - Your Infographics Destination lifestyle Where Are Ü Now? Justin Bieber Turns 23 Today! Where Are Ü Now? Justin Bieber Turns 23 Today! What do you mean it’s Justin Bieber’s 23rd birthday today? Today the pop star and media icon celebrates another year older and wiser. So how we at Stylight choose to celebrate this important day? We thought we’d document his headline-making hair do’s and don’ts of course in a Hairolution of Justin Bieber. Right from Justin Bieber’s pre-pubescent floppy mop circa ‘Baby’, to his choppier, spiky cut a la ‘Boyfriend’ and ‘Right Here’ with Drake, to his platinum grunge dreads for his recent Purpose tour. It’s a mixed bag! And it’s glorious. Because no matter the foolishness the tall(ish) Cold Water star gets up to, we can’t stop ourselves from wishing that he’d tell us, ‘Let me love you’. 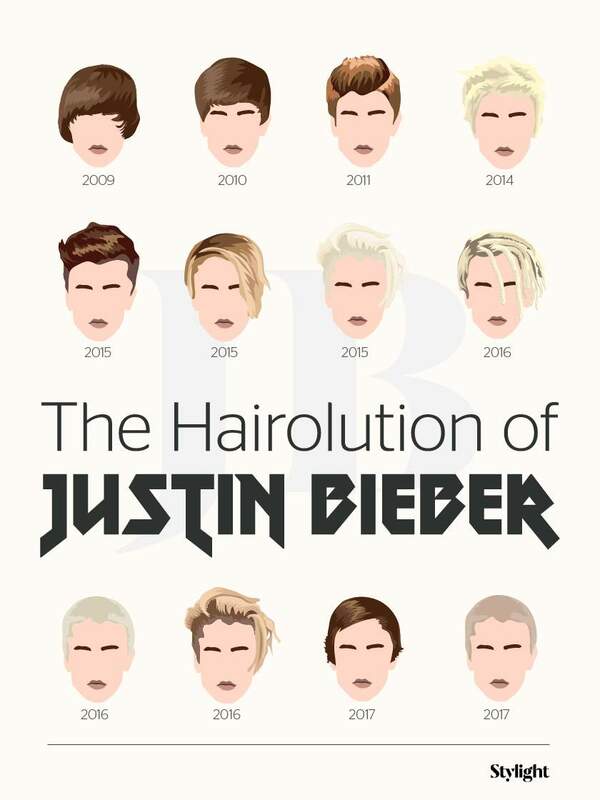 So whether you fancy his Baby hair from 2009 to his recent platinum shaved look, there’s something for everyone in Bieber’s hairolution!